Compost Making at Home, Time to Get Started! Photo courtesy of amaratala at Flickr.com. 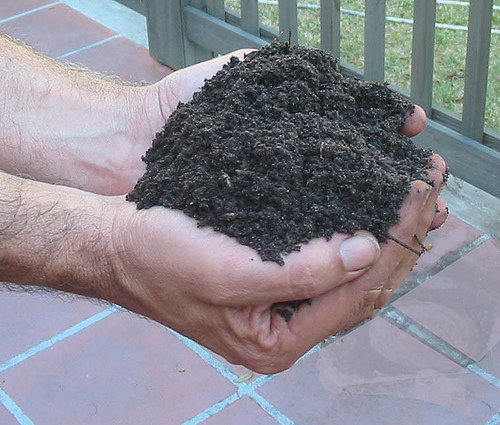 It’s easy to make compost at home. 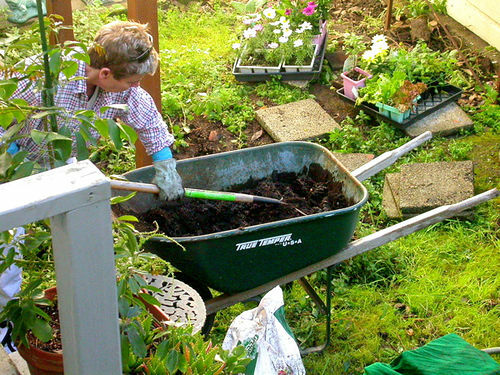 You can start a compost pile outside and put 3-6 months of back breaking labor into sorting and stirring your organic garbage with a rake. Or, you can outsource the hard work. No, I’m not talking about kidnapping Oompa Loompas — there are better workers who don’t sing and are less likely to cause headaches with OSHA. They’re even available at the local bait shop and pet store. 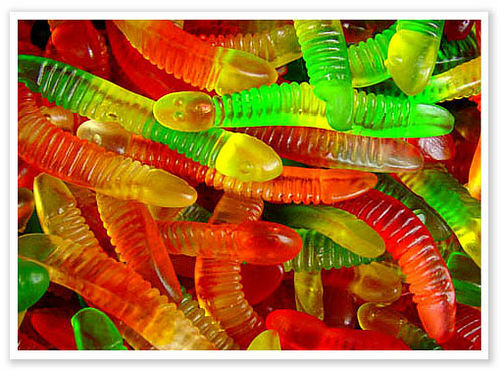 I’m talking about worms. 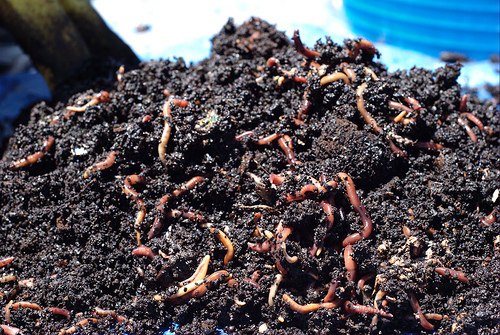 Turning your kitchen scraps into compost is what worms enjoy doing. They dream of finding big piles of banana peels and coffee grounds! Give them exactly what they want, and you’ll have a happy workforce. To start your sweat shop, all you need is a worm bin. 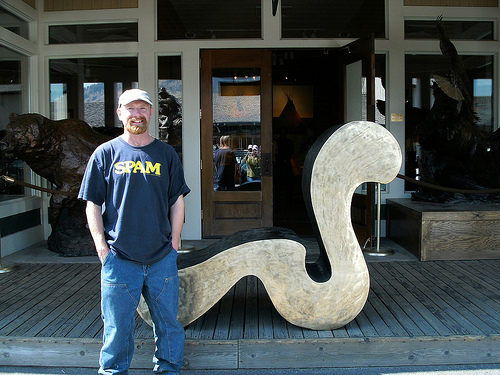 Prefab worm bins are available in wood, plastic, and metal – they’re all tailored to the special needs of worms. If you’re handy with tools, you can even make your own worm bin. Just make sure to choose or build a bin that offers protection from UV light, good ventilation, quick drainage, and shelter from predators. 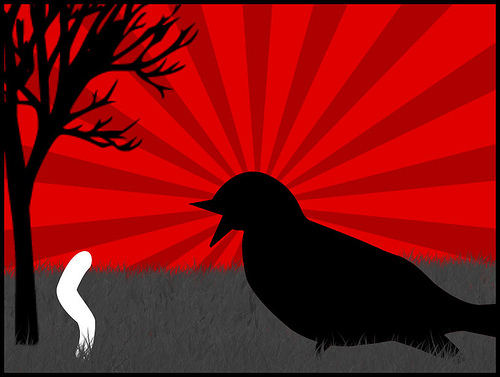 When choosing a worm composter, there are a few rules of thumb that may help. You’ll need about two square feet of area per person who will be contributing to the bin. So, if you have 2 people in your living in your household, it’s best to start with a bin that’s at least 2 foot wide by 2 foot long (4 square feet). If you have 4 people, then an 8 square foot bin would be more appropriate. To keep rodents out, the holes should be no bigger than 1/4″ in diameter. The lid is also important – look for one that’s lightweight and easy to lift with one hand, but sturdy and opaque to UV light. Line the bottom of your compost bin with shredded newspaper or paperwork (just watch out for metallic inks – avoid any magazine pages with glossy coatings or chemical residue). On top of the bedding, add the first pail of kitchen scraps, and then cover the food waste with a few shovelfuls of healthy soil. When the worm bin is ready, you also need to stock it with worms. 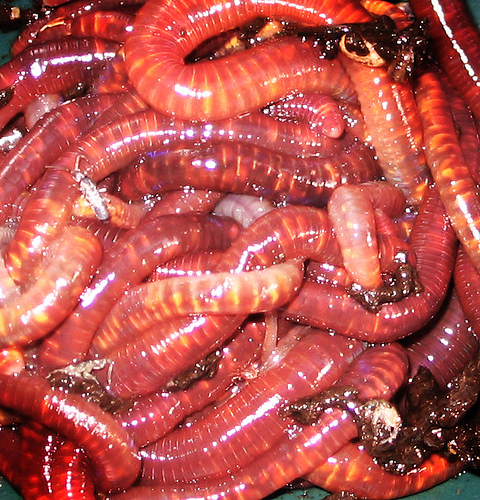 Pick up a carton of Red Wigglers from the tackle shop, and pour them into your worm bin. You can also use other species of worms, but not all worms will do well in shallow worm bins. Photo courtesy of rosepetal236 at Flickr.com.